PEX-1000 Series print engine incorporates a robust die casting structure for years of reliability. The PEX-1000 Series features ease of use, high performance, ease of maintenance and extensive compatibility. 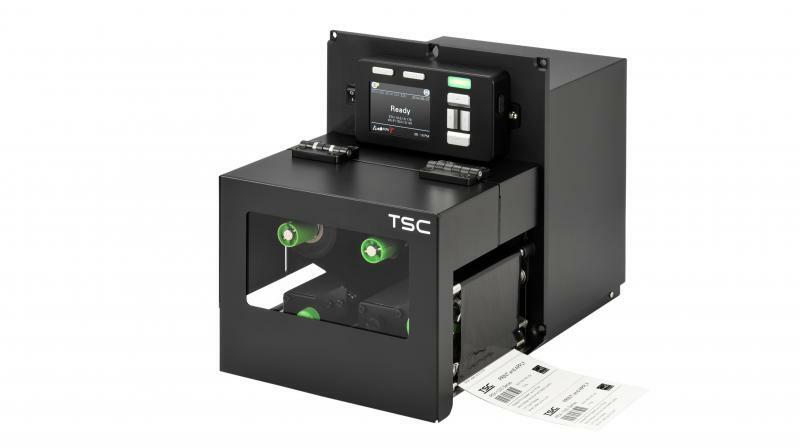 TSC Auto ID Technology Co. Ltd. Has launched its innovative Print Engine PEX-1000 Series. The latest series offers the Left-hand model (PEX-1100 Series) and the Right-hand model (PEX-1200 Series), to meet comprehensive print requirements. PEX-1000 Series print engine incorporates a robust die casting structure for years of reliability and is designed for integration with various label applicators. It features three different levels of models covering 203, 300 and 600 dpi resolutions. All models feature a colour LCD panel and front-side USB host that provides an efficient way for a quick set up and one-step update. The PEX-1000 Series features ease of use, high performance, ease of maintenance and extensive compatibility. It is ideal for manufacturing and logistics applications where high speed and mission-critical demand label printing is required. Design: Rugged design with die-casting structure ensures a stable media path for outstanding print quality and accuracy and the powerful peel-off capability fits various label width, particularly for a small label. Performance: PEX-1000 Series can print high-quality labels at fastest speeds up to 18 inches per second on the market. With the high precision label positioning, it can print the smallest 5 mm height label. It offers multiple connectivities including Industry Standard GPIO, USB, Parallel, Serial, Ethernet, USB host and optional 802.11 a/b/g/n wireless and Bluetooth 4.0 module. Usability: PEX-1000 Series supports 3.5-inch user-friendly intuitive colour display and front-side USB host for a one-step update on label format and firmware. Ease of Maintenance: With rear-side drawer design, users can access quickly for maintenance. Its modularized media drive system supports an easy replacement. Compatibility: Complying with industry standard, PEX-1000 Series is designed to simplify integration that can easily install in your current print and apply environment, and also supports various print language emulation.